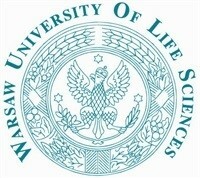 The Faculty of Wood Technology from the University of Warsaw is one of the oldest European academic faculties dealing with furniture industry and wood sciences. Established in 1948, it started working as part of the Faculty of Forestry. They were established a few years later as an independent science-didactic unit. Improving the innovative character of science studies. Improving the quality of student´s education. Tightening cooperation with furniture and wood industry. preservation, wood structure and physics, drying, adhesion phenomena, coatings, etc. Wood processing: Machining tools, and machines for wood industry, processing technologies. The mission of the Division of Construction and Technology of Final Wood is the spread of innovative technology around enterprises from the furniture and woodworking sector in order to increase their competitiveness, which is one of the main determinant factors in their development. The Polish furniture market is the largest in Central Eastern Europe, where consumption grew faster than in the rest of Europe over last decade. Besides, Poland is ranked among the top 10 furniture manufacturers and exporting countries worldwide, with an 8.3 billion turnover and 2% share. Together with Lithuania and Hungary, Poland is the only country in EU where furniture production grew in the period 2003-2012. In spite of this, their technical/technological level is definitely lower than Western European countries. The division initiatives lead to the improvement of the wood and furniture industry situation in Poland. WTD works mainly on furniture design, construction, safety and production technology. Other aspects of the activities are courses and vocational training for employees of the furniture industry. Every year about 100 students are trained. All the necessary equipment to teach in fields of CAD/CAM/CAE is available. The Division of Construction and Technology cooperates with Universities in many countries around the world, for example with University Putra Malaysia and University of Science and Technology ETH, Zurich. The faculty develops national and international projects related to their fields of expertise. To ensure the correct development of any initiative they are involved in, the Faculty works according to an internal quality system that monitors any project activity under the field of financial, management, dissemination and technical development that continuously evaluates the status of the objectives and milestones, identifies potential deviations and establishes corrective and preventive actions and communication measures. At the Faculty, 58 teachers are employed and about 650 students attend the courses every year.